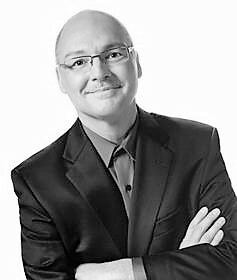 Jeff DeGraff, The Dean of Innovation. Consultant. Business and Innovation Speaker. Jeff knows how to innovate because he has been through the wringer and rolled with the punches, each time adding a new, better, and cleverer play than the last to his dossier. Jeff’s creative and direct take on making innovation really happen have made him a world renowned thought leader and have prompted his clients and colleagues to dub him as The Dean of Innovation. Jeff has advised many of the world’s leading corporations, using the Competing Values Framework that he co-created, on how to grow, change and ultimately move forward to see positive results. Jeff’s clientele list reads as a ‘who’s who’ of the business world, boasting Eaton, American Airlines, Coca-Cola, Microsoft, General Electric, Prudential and Pfizer, all as happy customers. Clients call Jeff when they want to achieve a cultural change that leads to sustainable innovation and growth. Time and time again, clients have been enthralled and inspired by Jeff’s speaking abilities and unorthodox view of innovation. He commands the room as he combines theory and practice to instill the mindset needed to make innovation truly happen. Jeff’s ideas have gained such a following that he created the Innovatrium, an innovation institute in the heart of the University of Michigan’s campus. The Innovatrium is what every great innovator in the past has had: a laboratory for experimenting with new ideas and creating tangible prototypes to prove the concepts. Throw in the fact that you can write or draw on every surface while looking out the large bay windows at one of the most prestigious schools in the world and the energy will infect you; the inspiration simply becomes organic. Not to be pigeon-holed; Jeff is also well known as an author whose witty and insightful prose have landed him regular columns with The Huffington Post, Psychology Today and Management Innovation Exchange. His talent for breaking down the steps needed to innovate effectively also prompted him to write a slew of successful books on innovation including Creativity at Work, Leading Innovation, and Innovation You: Four Steps to Becoming New and Improved. Other publications that showcase Jeff’s innovation principles are Business Week, Fortune, USA Today, Training+Development and the Wall Street Journal. He also has video learning modules with Big Think. For the past 25 years Jeff has also spent his time as a Clinical Professor of Management and Organization for the University of Michigan’s Stephen M. Ross Business school. His energetic personality and practical business experience have made his classes some of the highest rated and hardest to get into at Ross, and he enjoys discussing the changing face of innovation with the next generation. Taking into account Jeff’s extensive experience and mixing it with the creative streak and competitive edge he’s known for, it is not hard to see why he is called ‘the guru to the innovation gurus’ of Fortune 500 Companies.